The Post Or we could just print "shi*thole." Molly's Game Lord, grant me the strength of a woman maintaining a poker face next to Idris Elba. THE POST. My brother, an attorney quicker both in wit and temper than I, said to me some months ago, "When they go after the free press, we must take up arms." Based on that, you might call him something of a firebrand, a reactionary. You wouldn't be wrong. But he is also a student of history and a staunch believer in due process, intolerant of tyranny. So I wasn't surprised by the fatalism of his pronouncement so much as the certainty of it: not "if" but "when." It gave me pause when he said it and I've since reflected upon it. Often. An unfettered press, such as the one ostensibly afforded us by the First Amendment of the Constitution of the United States, is one of the most vital bulwarks of a true and functional democracy and, as such, is usually one of the first targets of despots and dictators. Because the press should be the voice of and for the people, an agent of transparency, an adversary of influence and obfuscation, it is, of course, both the enemy and most coveted potential ally of those who would seek to poison and destroy democracy (to paraphrase Quentin Tarantino paraphrasing the Bible, we will eventually get around to movies, after all). Subversion of news media need not be so ham-fisted as in days past, when papers simply became organs of the state, converted almost overnight into factories churning out florid propaganda. Monied interests have gradually purchased influence, both in the form of newsrooms and voting blocs, so successfully that they were able to install a morbid wraith from reality television into the most powerful office in the world. Which is the bad news, of course. The good news: The true American press is still alive and maybe scrappier and more indomitable than ever. It continues to punch up at the corruptors of influence, to dig deeper and expose more of them to the light. There is hope in that, and also in pointed reminders that They, the corruptors, have tried before and failed. The Post serves as a reminder of this, and an impeccably timed, perfectly crafted one at that. To get bogged down in a point-by-point reconstruction of the movie's plot would do a disservice to the deceptively effortless energy and bounce with which it plays out on screen. But in brief: Daniel Ellsberg (Matthew Rhys), an analyst working under Secretary of Defense Robert McNamara (Bruce Greenwood), becomes disillusioned with the hypocrisy and prevarication with which the war in Vietnam is being waged and the American public misinformed. So at some point in 1971, he leaves the offices of the Rand Corporation with thousands of pages of a classified study — commissioned by McNamara and reaching back decades — that describes the fact that the war has been known, to five successive administrations, to be at best unwinnable and, in reality, completely untenable. Ellsberg leaks the documents to the New York Times, where the story breaks and draws the ire of the debilitatingly paranoid Nixon White House. The already-embattled Washington Post, where publisher Katharine Graham (Meryl Streep), all too recently thrust into power by the suicide of her husband, must now decide whether to publish its own story on the eve of the paper's public stock offering and against the advice of a gaggle of inappropriately self-assured men. Graham is the undeniable hero of this story and Streep plays her with a combination of self-doubt and inner-strength that few (if any) other actors of any gender or generation could summon. Next to her, Tom Hanks' prickly, full-blooded portrayal of Post editor Ben Bradlee seems a little pale and, I hesitate to say it, almost shallow. It isn't, of course, but the light thrown by Streep's performance is so bright that it can't help but cast some shade. The supporting cast, including Bob Odenkirk and David Cross, finally side by side once more, bristles with talent and capability, but also with an innate, shared knowledge that less is more, that the strength of their collective performance is in their cooperation and shared contribution. This, of course, is down to director Steven Spielberg (working from a screenplay by Liz Hannah and Josh Singer) as much as anyone: The Post bears the tool marks of an old master working with the vigor and zeal of a gifted novice. The production design is exquisite, from the vast sets to the costumes, as one might expect, but Spielberg doesn't get precious about the details. His task is to tell the story taking place within that impeccably crafted world, and he does so with an urgency and skill that, like Streep's performance, few could rival. 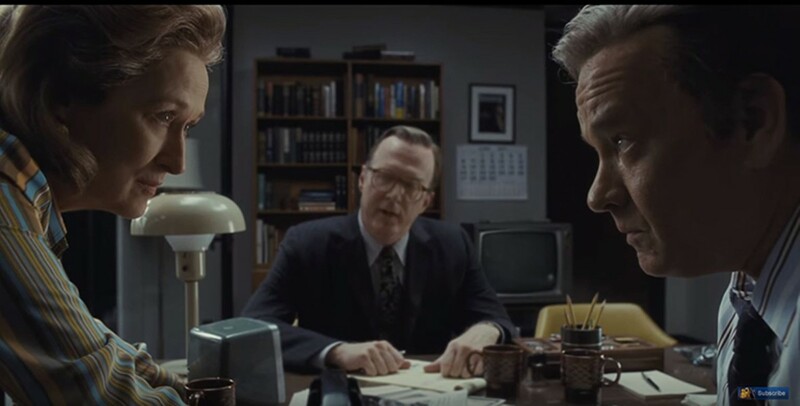 As a result, The Post pulls off the rare feat of feeling timely and timeless, important without being overbearing, artful, entertaining and edifying all at once. It is a reminder of hope in a time that can so often feel hopeless, and a symbolic taking up of arms. PG13. 115m. BROADWAY, FORTUNA, MILL CREEK, MINOR. MOLLY'S GAME isn't bad. Jessica Chastain plays Molly Bloom, a former Olympic skiing hopeful who surprises herself with a talent for running high stakes poker games and is then surprised by the FBI, which noticed that talent. Idris Elba co-stars as her reluctantly won-over lawyer. 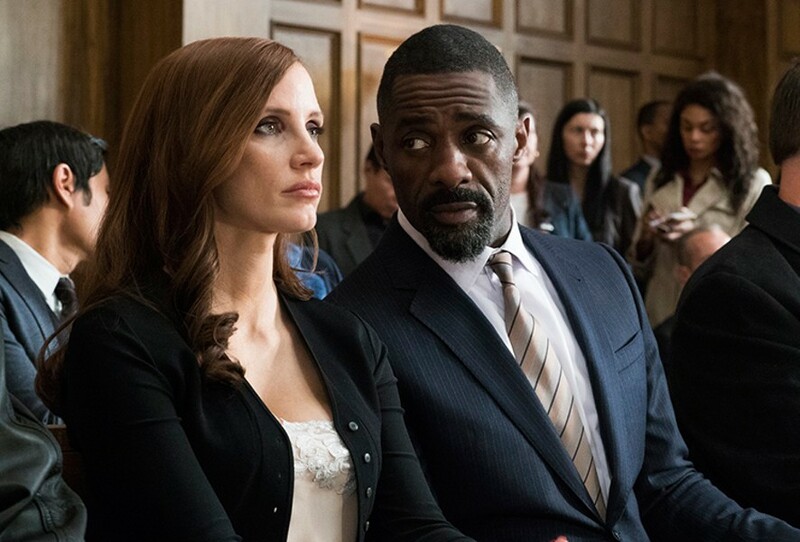 Molly's Game is the directorial debut of dialogue monster Aaron Sorkin, and it lacks much of the electricity that has heretofore characterized his work. Were his name not attached, it might be a more noteworthy effort, as it certainly plays as sure-footed and competent, but I (perhaps unfairly) expected more than I got. R. 140m. BROADWAY, MILL CREEK. Due to the holiday, updated listings for Broadway, Mill Creek and Fortuna were not available at press time. For showtimes, see the Journal's listings at www.northcoastjournal.com or call: Broadway Cinema 443-3456; Fortuna Theatre 725-2121; Mill Creek Cinema 839-3456; Minor Theatre 822-3456; Richards› Goat Miniplex 630-5000. THE PHANTOM THREAD. A celebrated London dressmaker (Daniel Day Lewis) falls in love with a young woman (Vicky Krieps) who becomes his muse. R. 130m. MINOR. THE SHAPE OF WATER. Guillermo del Toro's old-fashioned sci-fi romance starring Sally Hawkins, Doug Jones and Michael Shannon. Girl meets amphibian creature at top-secret lab, girl and creature fall in love, evil scientist torments and hunts creature. R. 123m. MINOR. COCO. Young musician Miguel (Anthony Gonzalez) goes on a quest to the Land of the Dead to circumvent his family's generations-old ban on music in this Pixar animated feature. With Gael García Bernal. PG. 109m. BROADWAY. THE COMMUTER. Maybe Liam Neeson should avoid all transportation. This time he plays a suit drawn into intrigue (secret missions, his family held hostage) by the mysterious Vera Farmiga while riding the train to work. PG13. 104m. BROADWAY, FORTUNA, MILL CREEK. FERDINAND. A domestic bull sent to a farm tries to get home to his family in this animated adventure. Voiced by John Cena, Kate McKinnon and Bobby Cannavale. PG. 106m. BROADWAY. DARKEST HOUR. Gary Oldman finally gets the role designed for his acting chops (and literal chops), portraying jowly British Prime Minister Winston Churchill as he urges his country to keep a stiff upper lip even as German planes strafe London. PG13. 125m. BROADWAY, MILL CREEK. THE DISASTER ARTIST. A good movie about a bad movie (The Room) in which the former gives the latter an empathetic gloss. Starring James Franco. R. 104m. BROADWAY. THE GREATEST SHOWMAN. A glossy, glitzy musical about a complicated man. Hugh Jackman plays P.T. Barnum, an abolitionist and social reformer who made his money off "freak shows" and minstrelsy. Michelle Williams and Zac Efron also star. Statue of Barnum on the Arcata Plaza unlikely. PG. 105m. BROADWAY. INSIDIOUS: THE LAST KEY. The fourth chapter in this horror series with parapsychologist sleuth Elise Rainier (Lin Shaye) investigating the scariest thing yet: her childhood. PG13. 103m. BROADWAY, FORTUNA, MILL CREEK. JUMANJI: WELCOME TO THE JUNGLE. A remake of a 1995 Robin Williams vehicle that somehow combines Breakfast Club teen dynamics, body-swap comedies, aggressive hippos and The Rock's skeptical eyebrow? Sure, why not? PG-13. 119m. BROADWAY, FORTUNA, MILL CREEK. THE OTHER SIDE OF HOPE. A Finnish man (Sakari Kuosmanen) who starts a restaurant with his gambling winnings befriends and employs a Syrian refugee (Sherwan Haji) in this comedy/drama from Finland. NR. 100m. MINIPLEX. PADDINGTON 2. The marmalade-obsessed bear (Ben Whishaw) goes on a hunt for the thief who stole his pop-up book. With Sally Hawkins, Hugh Bonneville and Hugh Grant. PG. 121m. BROADWAY, FORTUNA, MILL CREEK. PITCH PERFECT 3. Farewell tour for pun-happy franchise whose talented cast (Rebel Wilson, Anna Kendrick) can't seem to synergize plot into satisfying fans. PG13. 94m. BROADWAY. THE SACRIFICE (1986). The restored version of Andrei Tartovsky's final film, which focuses on a man and his son on the brink of World War III. PG. 149m. MINIPLEX. STAR WARS: THE LAST JEDI. An ambitious, funny installment of the beloved franchise that should satisfy both mega-fans and fair-weather Wookies. PG13. 153m. BROADWAY, FORTUNA, MILL CREEK, MINOR. THREE BILLBOARDS OUTSIDE EBBING, MISSOURI. A sterling cast (Woody Harrelson, Frances McDormand, Sam Rockwell, Abbie Cornish, Zeljko Ivanek and Peter Dinklage) does admirable work in a drama about a small-town murder but the film unravels in the last act. R. 115m. BROADWAY.